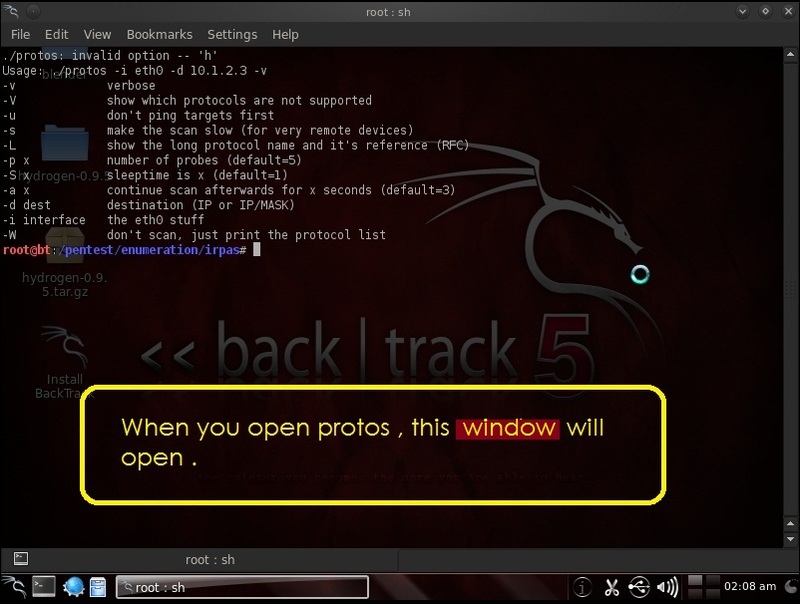 Protos is a IP protocol Scanner . Protos is also a part of IRPas Suite of Tools . It goes through all possible IP protocols and uses a negative scan to sort out unsupported protocols which should be reported by the target using ICMP protocol unreachable messages. 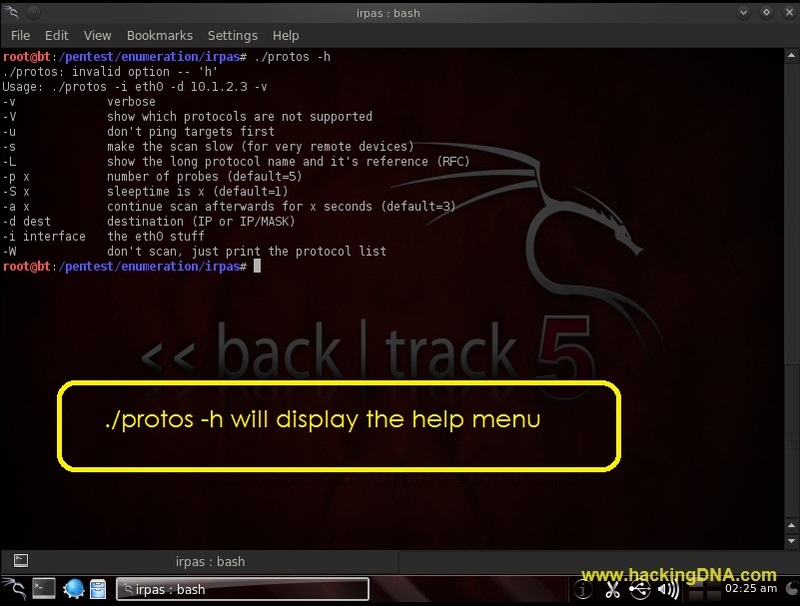 To display help in protos , use -h option. Example 2 : Verbose Mode . In this command -i is used for interface , -d is used for destination ip address and -v is used for verbose mode . Example 3 : Protocols that are NOT Running in the destination ip . Use this command to see the protocol list . This is how we can use this tool . More examples will be added soon .